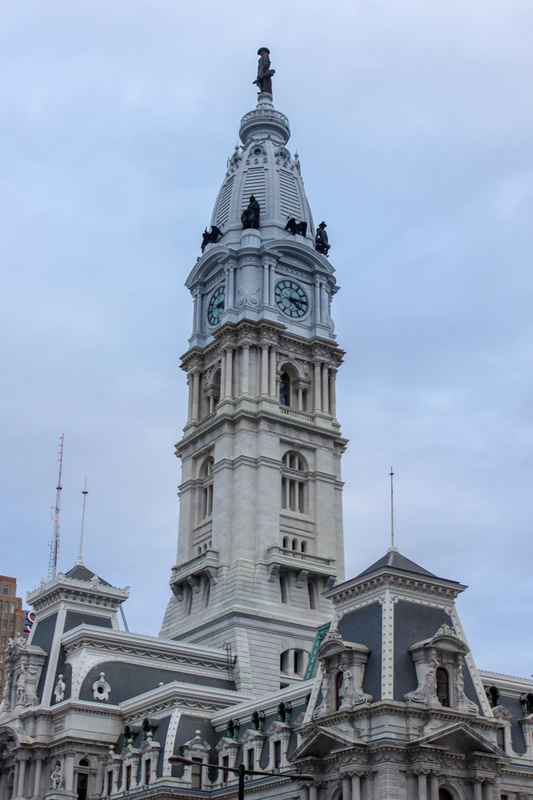 Construction of Philadelphia's ornate, Second Empire-style City Hall began in 1871 and it wasn't finished until 30 years later. It's currently the largest municipal building in the country—the ground floor is made of 22-foot-thick solid granite and the 548-foot tower is the tallest masonry structure without a steel frame in the world. 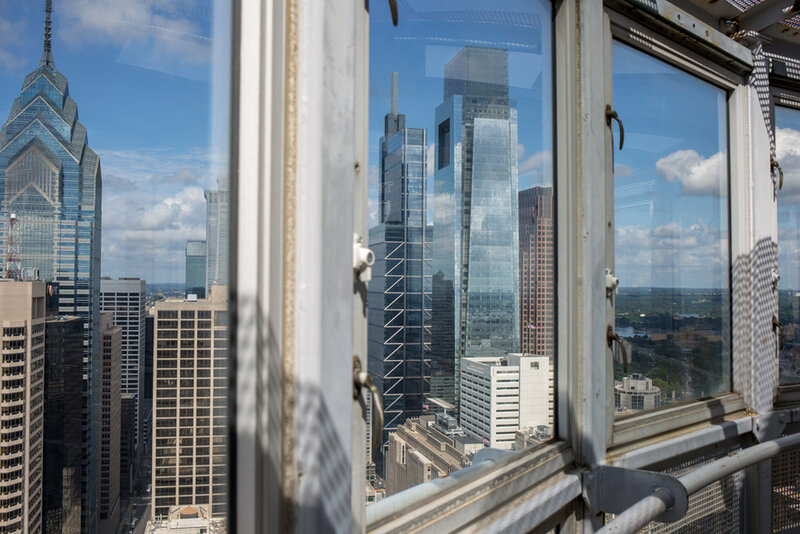 It wasn't until I was researching for this travel guide of Philadelphia that I discovered that the tower has an observation deck. 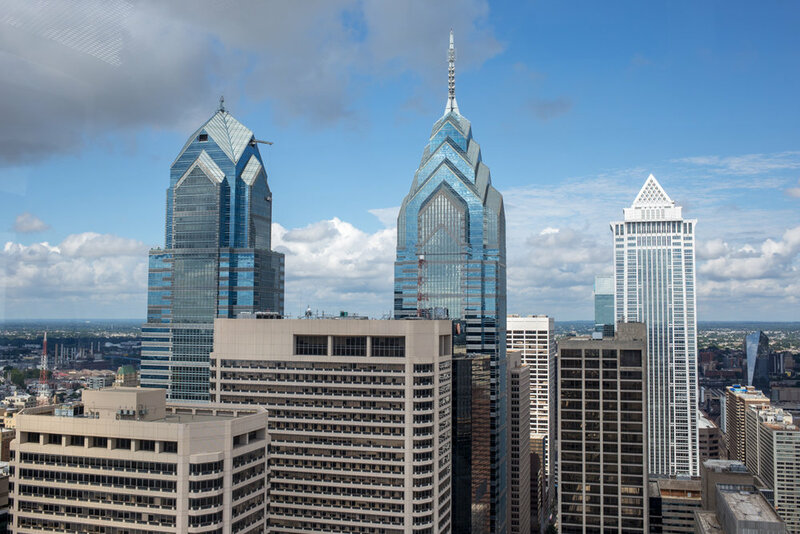 I'm not afraid of heights and I love surveying cities from above, so I was eager to get back to Philly and take the tour. Tower tours are offered Monday-Friday 9:30am-4:15pm and only on "select Saturdays." We were in Philly for July 4th and our train didn't leave until 2pm the next day so I took a 10:15am tour on Thursday. The most difficult part of the tour is finding the visitors' center in City Hall—I wandered in and out of the ground floor before I finally found it. Tickets for the tower tour can be purchased in the gift shop, and be aware that they are extremely limited. Although the official closing hour is 4:15pm, the tower was closing at noon on Thursday, probably due to the heat. You have to meet an elevator operator on the 7th floor no later than 15 minutes before your scheduled tour time, and the extremely small elevator only holds four people (including the operator). The elevator operator asked if any of us were claustrophobic or afraid of heights and I lied when I said no to the former—enclosed spaces are not thrilling to me on a regular day, but in the extreme heat and humidity the tiny, airless elevator ride could not have been over soon enough for me. The inside of the tower itself is mainly just filled with support structures and a few pieces of communications equipment, but you pass behind the four, 26-foot-wide clock faces—bigger than Big Ben—as you ascend to the top. The observation deck is small and mostly enclosed but the 360 views of the city are spectacular. The deck sits right under the 37-foot-tall, 27-ton statue of Penn, one of 250 sculptures created by Alexander Milne Calder for City Hall. In 1894, the statue was hauled to the top of the tower in fourteen separate sections and it is still the largest statue to sit atop any building in the world. 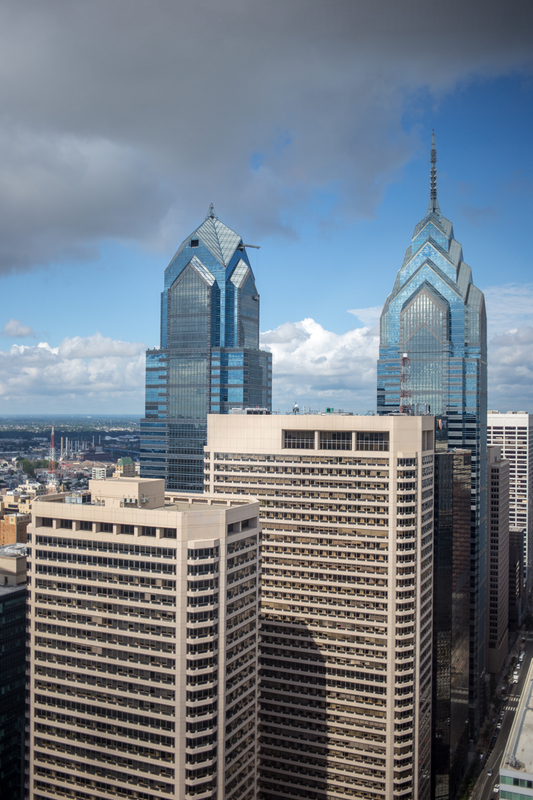 A gentleman's agreement dictated that no building in the surrounding skyline was to rise higher than the top of Penn's hat—an agreement that held for nearly 100 years, until 1986 with the construction of One Liberty Place.